Normal age-related changes, genetics, lifestyle, weight loss/weight gain – and the downward pull of gravity all contribute to unwelcome signs of facial and neck aging. A Necklift, also called Platysmaplasty, is one of today’s most popular procedures to correct and rejuvenate the neck. Dr. Yeh tailors your Necklift procedure to your individual needs. As we age, neck muscles relax resulting in sagging neck skin often referred to as “Turkey Waddle.” Excess skin, muscle and pooched-out fat – under the chin – results in a “double chin.” Often a genetic factor, fat under the chin is usually unaffected by diet and exercise. Dr. Yeh combines Liposuction with a Necklift to achieve dramatic results. One of the most defining characteristics of a youthful face – is the neckline. Loose – hanging neck skin, excess fat & jowls – dramatically emphasize an aging face. Platysmaplasty or Necklift Surgery eliminates the excess fat and sagging skin of the neck. A Necklift corrects only the problems of the neck and does not deal with lines, wrinkles, grooves and sagging skin of the face. Necklift is a safe, commonly performed procedure using today’s most advanced techniques and smaller, refined instruments. Typically – good candidates are healthy men and women who want to rejuvenate the neck by correcting jowls, neck banding and “turkey waddle.” Dr. Yeh will do a complete assessment of your concerns – and will examine the condition of your skin, your underlying anatomy, your goals, and how much facial/neck aging is evident. He will tailor your treatment to achieve your goals and the most desirable results. Realistic expectations are an important consideration for any cosmetic procedure. Your surgery will be performed in a state-of-the-art surgery center complete with all of today’s most advanced and refined instruments and technology. Today’s refined – microscopic instruments are much less invasive, require smaller incisions, cause little to no bruising and swelling and require much less healing time. Dr. Yeh is able to achieve more precise, natural looking results! Local anesthesia with or without sedation is normally used. Dr. Yeh will make tiny incisions under your chin and will work through these using, small microscopic instruments, to manipulate the platysma muscle and restore it to its more youthful position. Working through tiny incisions behind your ears, loose, hanging skin will be removed and the remaining skin will be lifted and sutured into place. Excess fat will be liposuctioned to contour the chin and neck. Choosing surgery is a serious decision – many times it is life changing. Choosing a surgeon who is qualified and able to achieve the right outcome is critical. 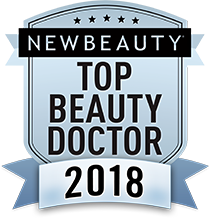 Dr. Yeh is a fellowship trained – Facial Plastic Surgeon – which means he has many extra years of cosmetic and reconstructive surgery training, vast knowledge, meticulously honed skills and expertise beyond the norm. He has focused on and is specialized in all procedures of the head and neck. This does not guarantee a certain outcome – but can ensure you that he is a skilled expert and highly qualified to perform your chosen procedure.